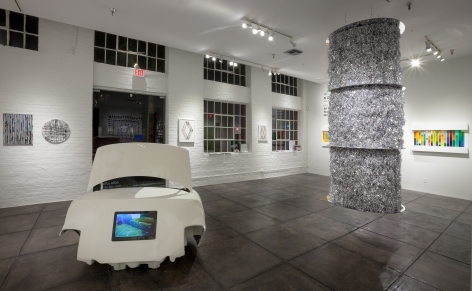 JONATHAN FERRARA GALLERY is pleased to announce the 18th edition of the annual NO DEAD ARTISTS International Juried Exhibition of Contemporary Art. The exhibition will run from 27 August through 27 September with an opening reception onSaturday, 30 August, from 6-9 pm. The NO DEAD ARTISTS exhibition was founded in 1995 to give a voice to emerging artists. The exhibition's name is derived from the old adage that artists never achieve success until they are dead. NO DEAD ARTISTS turns that notion on its head and gives emerging artists their first break in the art world. In the 90's, the exhibition was open only to New Orleans artists and subsequently grew to include artists of Louisiana. 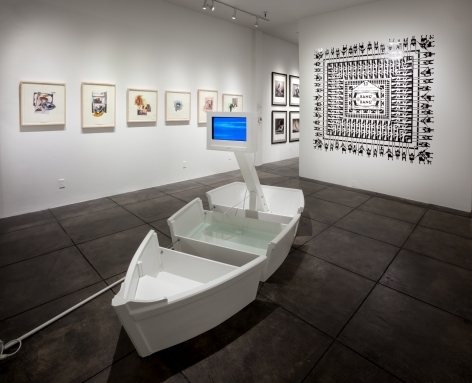 In 2010, the exhibition expanded to become a national juried exhibition open to artists from the entire US, and now in 2014 the call is international. The exhibition has been a springboard for numerous artists leading to national press coverage, recognition, gallery representation and acquisitions by museums and other prominent collections. Each year gallery owner Jonathan Ferrara invites a panel of renowned arts professional and collectors to select the newest creative talents, and the exhibition draws a crowd of thousands interested in discovering the work of this selected group of emerging artists. The exhibition serves as a rite of passage for many artists, some of whom are developing their initial relationship with a commercial gallery. Now in its 18th edition, the exhibition has been a springboard for numerous artists leading to national press coverage, recognition, gallery representation and acquisitions by museums and other prominent collections. Each year gallery owner Jonathan Ferrara invites a panel of renowned arts professionals and collectors to select the newest creative talents. Past jurors have included Prospect.1 Founder and Curator Dan Cameron, Museum Director Billie Milam Weisman, Collector and Philanthropist Beth Rudin DeWoody, MacArthur Fellow John Scott, Whitney Trustee and Ballroom Marfa Co-founder Fairfax Dorn, NOMA Director Susan Taylor, artist Tony Fitzpatrick, Director of the Andy Warhol Museum Eric Shiner, Director of the National Art Gallery of the Bahamas and Founder and Artistic Director of the VOLTA Fair Amanda Coulson, Dishman Art Museum Director Megan Koza Young, ArtBridge Curator Jordana Zeldin, and Collector and MoMA Board Member Lawrence Benenson. B I L L A R N I N G is the director of the Contemporary Arts Museum Houston. 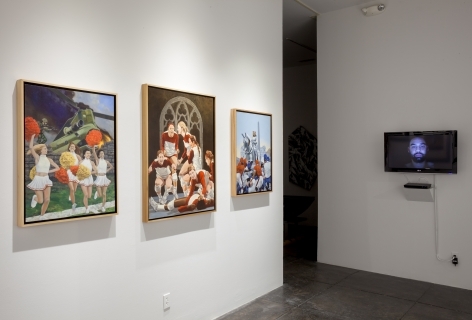 After arriving in Texas in 2009, Arning organized solo exhibitions of Marc Swanson, Melanie Smith Matthew Day Jackson, and the late Stan VanDerBeek. Jackson and VanDerBeek were jointly organized with the MIT List Visual Arts Center where Arning was exhibitions curator from 2000-2009. At MIT he organized shows of AA Bronson, Cerith Wyn Evans, and a retrospective of the work of Kate Ericson and Mel Ziegler. From 1985 to 1996, Arning was director of White Columns in New York City where he organized groundbreaking first solo shows for many of the best known artists of his generation including John Currin, Marilyn Minter, Andres Serrano, Richard Phillips, Cady Noland, and Jim Hodges, among many others. In 1993 Arning organized the first exhibition about gender and sexuality in South America, Maricas at the Center Cultural Ricardo Rojas at the University of Buenos Aires. 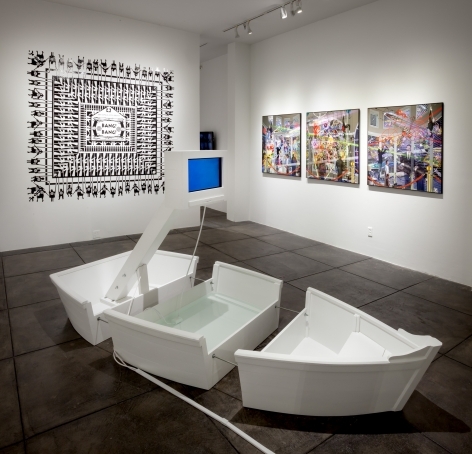 Arning has written on art for journals such as Artforum, Art in America, Out, and Parkett, and multitudes of international museum publications, including texts for retrospectives of Jim Hodges, Keith Haring, Christian Jankowski, and Donald Moffett as well as other writing for books by Elmgreen and Dragset and Lawrence Rinder. He will be writing an essay on the art market and AIDS for the upcoming exhibition ArtAIDSAmerica being organized by the Tacoma Art Museum. 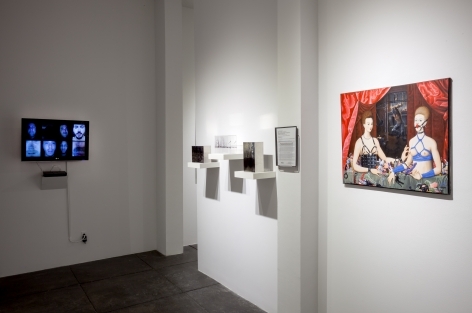 Arning is co-organizing in 2015 with curator Elissa Auther and the Museum of Contemporary Art Denver a survey exhibition Marilyn Minter: Pretty/Dirty and also the first large scale museum exhibition of Mark Flood, entitled Greatest Hits in 2016. S T E P H A N I E I N G R A S S I A is an avid supporter of the Brooklyn arts community. She studied Graphic Design at the School of Visual Arts and worked for years at various newspapers and magazines. Ingrassia is now the President of the Board of Directors at the Brooklyn Museum of Art. Furthermore, she is the driving force behind her family’s Contemporary Art collection which includes work by major artists such as: Jean-Michel Basquiat, Nick Cave, Alfredo Jaar, Deborah Kass, Wangechi Mutu, Julian Opie, Tal R, Dana Schutz, Mickalene Thomas and Kara Walker. “I always think with two hats,” says Ingrassia. “I think about our own collection, but I also think about trying to energize the contemporary effort at the Brooklyn Museum. 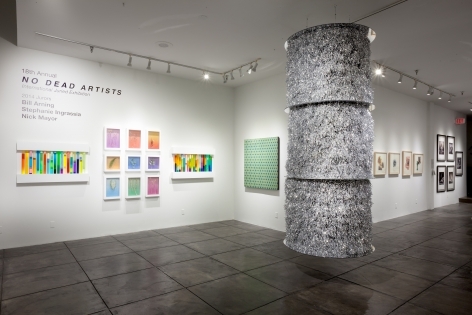 Of the approximate 2,500 artworks submitted to this jury by over 500 artists worldwide, only fifteen artists were selected to have their work exhibited at Jonathan Ferrara Gallery. 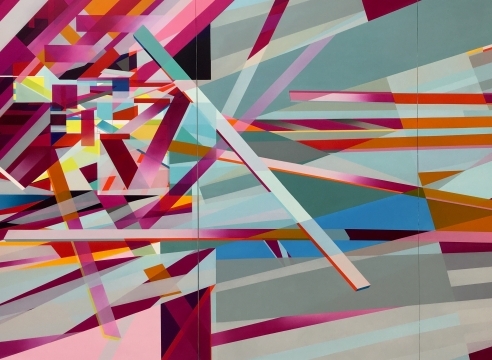 The 2014 installment will feature over 40 artworks ranging in medium and style from Marna Shopoff’s large scale, multi-panel, architecturally-abstract paintings on canvas to Aaron Thomas Roth’s metaphysical, figurative, heat-transfer collages on paper. Other highlights from the exhibition include Rosemary Fishburn-Scott’s layered photographs of landsapes on transparent acetate in handmade plexiglass boxes, as well as, Mauricio Saenz’s video installations which challenge impossibilities. With Painting, sculpture, photography, collage, video art, and cutting-edge, digital mediums represented in the show, NO DEAD ARTISTS is an exhibition known for a great diversity in media but with a cohesive cross-section of the pulse of Contemporary Art . . . and 2014 will be no exception.